What’s a minneola orange? It’s sometimes called a Honeybell tangelo, and is a hybrid of the Duncan grapefruit and the Dancy mandarin orange. 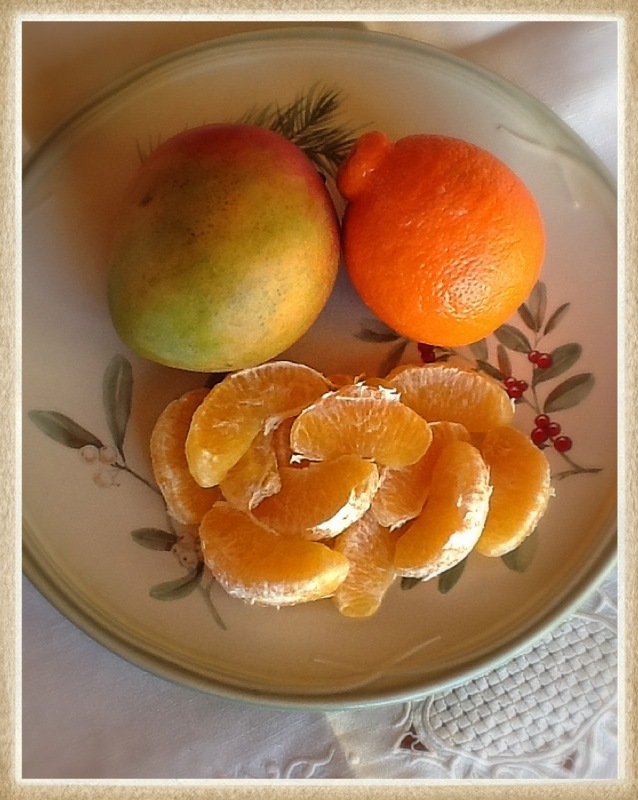 The fruit combines the rich sweetness of a tangerine with the slight tart flavor of a grapefruit. Because of their high nutrient levels and low calorie count, minneola oranges are a good way to add something sweet to your diet. And, One minneola orange gives you 100 percent of your daily recommended vitamin C, a nutrient and antioxidant responsible for blocking free radical damage, producing collagen, and building and repairing bodily tissues. Mango is an excellent source of Vitamin-A and flavonoids like beta-carotene, alpha-carotene,and beta-cryptoxanthin. 100 g of fresh fruit provides 765 mg or 25% of recommended daily levels of vitamin A. Together; these compounds are known to have antioxidant properties and are essential for vision. Vitamin A is also required for maintaining healthy mucus membranes and skin. Consumption of natural fruits rich in carotenes is known to protect the body from lung and oral cavity cancers. Fresh mango is a good source of potassium. Potassium is an important component of cell and body fluids that helps controlling heart rate and blood pressure. And, it is also a very good source of vitamin-B6, vitamin-C and vitamin-E. Vitamin B-6 is required for GABA hormone production within the brain. It also controls homocystiene levels within the blood, which may otherwise be harmful to blood vessels resulting in CAD and stroke. Coconut Oil: some studies have shown that intake of coconut oil can help our bodies mount resistance to both viruses and bacteria that can cause illness. And that it can help to fight off yeast, fungus, and candida. This entry was posted in Uncategorized and tagged health benefits, mango, minneola orange, smoothie. Bookmark the permalink.